Marine vessels deliver 90 percent of all fuel and freight shipped into Alaska. Half of this cargo crosses Port of Alaska docks. And half of that cargo moves out of Anchorage by road, rail, air or barge to destinations across the state. Port of Alaska is vital state and national defense infrastructure. 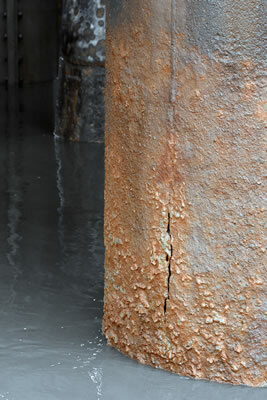 Unfortunately, its half-century old docks are corroding away and need to be replaced, or else they’ll close in about 10 years … sooner if there’s a big earthquake! Port of Alaska’s aging infrastructure has far exceeded its economic and design life, and the terminals are too small and shallow to efficiently handle most modern cargo container ships that are commonly used for West Coast and trans-Pacific shipping. Construction on the cargo terminals will not commence until the project is fully funded in order to minimize costs and potential disruption to port and tenant operations. The Municipality of Anchorage has asked State officials to support a $298 million statewide general obligation bond referendum or other funding mechanism to help replace main cargo terminals. All remaining project funds are either in hand or will come from other sources, including Port revenues. The overwhelming majority of Port revenue derives from inbound shipping. Consequently most potential alternatives to State funding would ultimately be paid for by State residents, either in the form of taxes or cargo tariffs that would likely average about $1,000 per Southcentral/Railbelt household – a few cents at a time added to the cost of every gallon of milk, tank of gasoline, and every other commodity shipped through the Port. 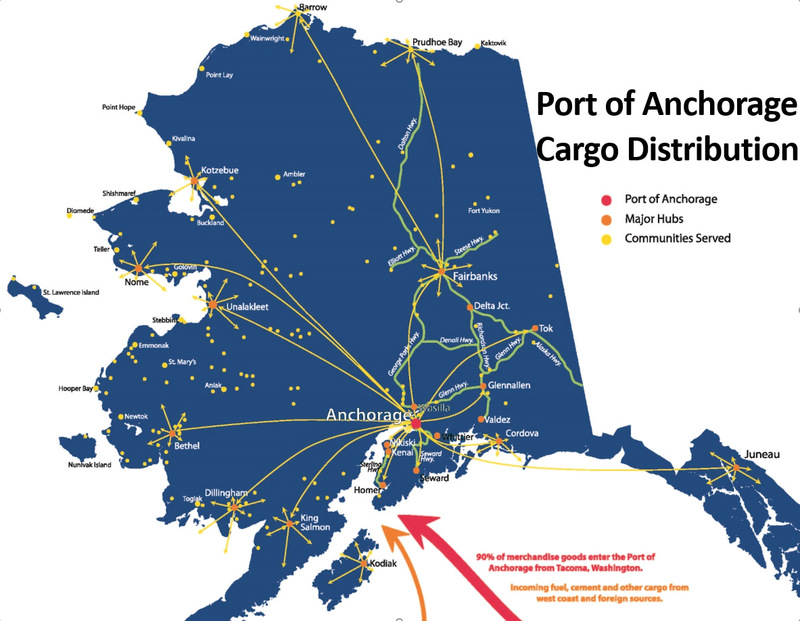 Source: Alaska’s Lifeline: Cargo Distribution Patterns from the Port of Anchorage to Southcentral, Northern, Western and Southeast Alaska, Published Feb. 2011. By: University of Alaska Anchorage College of Business and Public Policy Dept. of Logistics and Port of Anchorage, Municipality of Anchorage.